3. Do You Want To Buy Or Lease? Printing and photocopier purchasing can be a costly expense but a necessity for your business but purchasing the equipment is not the only solution available. There are many companies that offer printers and photocopiers on either a lease agreement or rental basis which allows businesses to spread the cost and reduce the initial outlay whilst benefiting from having the equipment. Some companies also offer managed print services which include maintenance and supplies as part of a single fee. We have looked at some of the leading providers to see what they can offer. The table below gives a quick price comparison of the top UK providers for printer hire and leasing. Some of the features and benefits of Epson’s printer hire and leasing. Epson is a major player in the printing market as they manufacture printers and also provide a printing supply service that offers a fully managed print service. They offer this service to customers who purchase or lease their equipment. Epson’s leasing service combined with the Print and Save print management service offers a fixed price print solution for businesses that allow them to budget effectively for their printing needs and have the security of a fixed price and a three-year guaranteed warranty. It can cover single or multiple sites and the printing supplies package is simple and easy to use. Some of the features and benefits of Brother’s printer hire and leasing. Brother is a printer manufacturer who offers a managed print service that includes leasing solutions that give businesses the opportunity to improve their printing facilities. Through their managed print service customers can benefit from improved efficiency, reduced costs and improved productivity as well as reducing any downtime. Brother’s services allow business to utilise an automated cloud-based service to link all devices which give complete oversight of all printing services and needs which help manage supplies and ordering. They provide a bespoke service that tailors their solutions to your needs and offers an agile solution that will evolve with your changing needs. Some of the features and benefits of Xerox’s printer hire and leasing. Xerox is a large manufacturer of printers and photocopiers that also offers rental solutions to businesses through their subsidiary company Continua. They specialise in shorter term solutions that cater for businesses that require additional facilities, such as events, temporary offices, seasonal or temporary increase in printing demands. Xerox’s rental solutions include servicing, maintenance and printer supplies to give a complete solution, as well as delivery, installation and removal of the equipment. Their packages offer equipment hire from three days to one year and have the advantage of a shorter-term contract length that will help reduce costs and prevent from being tied to long-term contracts. Some of the features and benefits of Copy print Services’ printer hire and leasing. 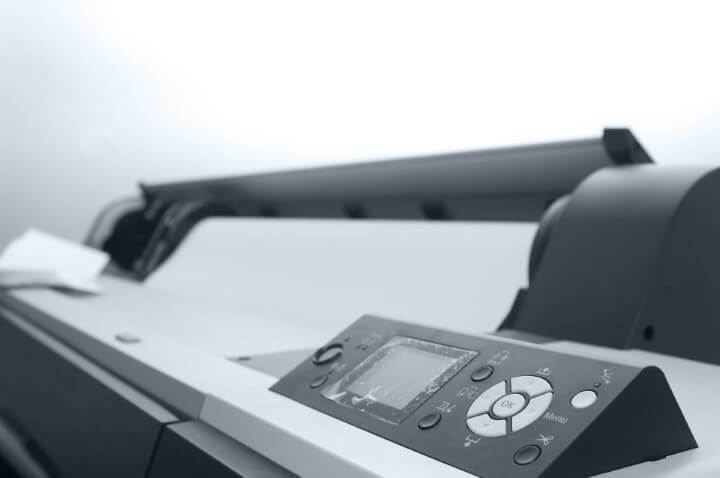 Copy Print Services is a Bolton based photocopier supplier who provides leasing solutions that can be for 1 to 5 years, rental packages that range from a day to over a year, as well providing photocopier sales and maintenance services. Copy Print Services provides rental and lease solutions to businesses in the North West of England. They offer a range of photocopiers from a variety of manufacturers and provide the level of service you require from basic rental to a fully managed service which includes maintenance and supplies. They deliver a quick response time to faults to give reduced downtime. Some of the features and benefits of Midshire’s printer hire and leasing. Midshire offers a range of photocopiers for rental and lease which can be for as little as a few days on rental agreements and for 3 to 5 years on lease contracts. They offer a broad range of photocopiers which are from small desktop devices to larger devices. They deliver packages that are standalone arrangements or fully managed services which include toner supplies and maintenance. Midshire offers several different lease types that cater for different customers needs such as operating leases which are off the balance sheet funding and finance/capital leases. They operate across the country with offices in Stockport, Sheffield, Cardiff and West Bromwich. Some of the features and benefits of Tower’s printer hire and leasing. Tower is an established provider of photocopier leasing solutions who offer their services to other leasing businesses as well. They offer leasing solutions and finance solutions to purchase photocopiers. The lease solutions are available for photocopiers that have a value of over £1,000 for periods between 2 to 5 years. Tower offers a tailored service to their customers and they deliver a fast turnaround on their credit approvals to get lease arrangements made quickly and efficiently. As an experienced supplier, they provide a variety of knowledge and services suitable to businesses of all sizes and they will help you benefit from the tax relief from leasing agreements. Some of the features and benefits of Workflow’s printer hire and leasing. 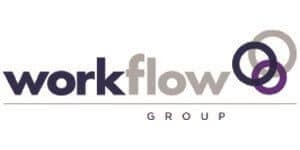 Workflow is a provider of a wide range of mono and colour photocopiers and printers to businesses on lease arrangements that can be from 1 to 5 years. They offer standalone printer and photocopier solutions as well as managed print services which include maintenance and consumables as part of a fixed monthly fee. Workflow offers their services in partnership with leasing and financial service businesses to offer a wide range of printers and photocopiers from leading manufacturers so that they can offer tailored solutions for printing needs. They also offer a range of other business solutions which includes mobile printing solutions. Some of the features and benefits of CSL Group’s printer hire and leasing. 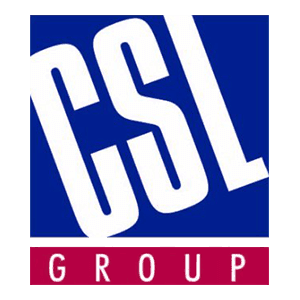 CSL Group is a business that supplies a wide range of printers and photocopiers that also offers photocopiers on lease and rental arrangements. They only provide Konica Minolta photocopiers on 1 to 5-year lease or rental contracts. They also allow you to upgrade your photocopier during the term of the lease arrangement. CSL Group’s leasing agreements offer flexibility and can be offset against tax to make them more attractive and they do not require an initial deposit. They offer both fixed monthly or quarterly payment plans that come with a full-service agreement for peace of mind and to reduce downtime. Some of the features and benefits of Paragon Document Solutions’ printer hire and leasing. Paragon Document Solutions is a business that operates nationally from London providing printers and photocopiers on rental and lease agreements. They offer rental arrangements from 3 days to 2 years and lease agreements from 1 to 5 years. They also offer managed print services which include maintenance and supplies as part of the monthly charge. Paragon Document Solutions offer a wide variety of printers and photocopiers from leading brands which include Canon, Konica, Kyocera and Toshiba. They provide their customers with a dedicated account manager and will make regular preventive maintenance visits as well as fast response times particularly in London. Some of the features and benefits of ASL Group’s printer hire and leasing. ASL offers a range of business services that include a variety of printing solutions, document services, telephony solutions and office supplies. ASL offers both printers and photocopiers on a rental or lease basis on short to long-term arrangements which are backed with maintenance care as standard. ASL offers an initial consultation service to help determine which solution and device best suits your business needs and they will give you a selection of options for you to choose between. They deliver their services to single and multiple site businesses that operate within parts of the South East of England and London. Some of the features and benefits of UK Photocopiers Direct’s printer hire and leasing. UK Photocopiers Direct is a business that supplies photocopiers and printers as well as service and support solutions to businesses across mainland UK. They offer leasing on photocopiers that they provide in partnership with leading finance business on leases over £1,000. UK Photocopiers Direct offers leasing as well as purchasing as they understand that businesses often need new equipment but do not have the available funds to purchase it outright and want to spread the cost. With their leasing solution, you can also upgrade your photocopier if your needs change. They provide free delivery, installation, training and support from a dedicated sales account manager. Some of the features and benefits of Digipro’s printer hire and leasing. Digipro is an office equipment supplier that provides photocopiers, printers and fax machines that also offers rental and lease agreements for photocopiers and printers. They offer short-term rental agreements on printers and photocopiers and long-term agreements on leasing photocopiers that are over £1,000. Digipro’s rental and leasing solutions offer a flexible alternative to purchasing equipment for businesses. They provide their finance in conjunction with leading financial lenders and will manage the finance for you. They offer leading branded equipment from Canon, Toshiba, Sharp and Ricoh which can be upgraded and adapted during the lease period. Some of the features and benefits of Photocopier Warehouse’s printer hire and leasing. Photocopier Warehouse is a supplier of photocopiers and multi-function printers that offers photocopiers on both lease and rental agreements. They also offer managed print services where you can include all your maintenance and photocopier consumables as part of one fixed monthly cost. Photocopier Warehouse has been trading for over 30 years and has extensive experience in the marketplace and are an independent supplier who will offer impartial advice on a variety of photocopier brands. Their customers benefit from after sales care, onsite maintenance and servicing as well as 4-hour response time and dedicated account management. Some of the features and benefits of COS Sales’ printer hire and leasing. COS Sales is a printer and photocopier supply business that operates in London and the surrounding areas who also offer printer and photocopier leasing. They also offer managed print services which allow you to incorporate all printer and photocopier running costs as part of your monthly fix fees such as ink/toner and maintenance. 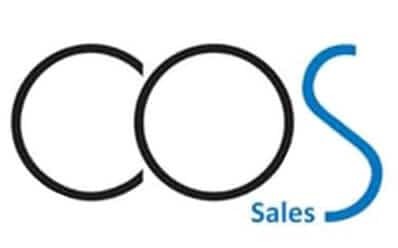 COS Sales offer personal service that gives customers ongoing training and support throughout their lease period and they have manufacturer trained engineers that will respond to faults within 4 hours. They also have remote diagnostic capabilities to help get you back up and running sooner. 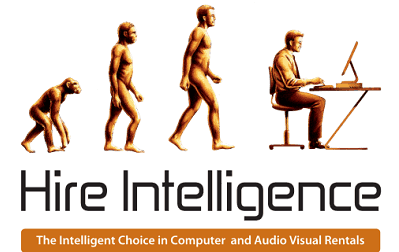 Some of the features and benefits of Hire Intelligence’s printer hire and leasing. Hire Intelligence provides hire solutions that are targeted at temporary offices, events and short-term needs for office equipment and event equipment which includes printers and photocopiers. They supply leading brand equipment from HP, Canon and Sharp amongst others. Hire Intelligence’s hire agreements are provided with all the supplies you need except the paper, so you do not need to order any other supplies or worry about maintenance. They charge for the consumables used by the number of pages that you print. They will install the device and provide training as well as give on-site technical support. Some of the features and benefits of Copycare’s printer hire and leasing. Copycare has been providing printer and photocopying equipment for 15 years and has developed a proposition that offers flexibility to businesses that do not want to commit to long-term contracts or are unable to. They provide their equipment with no rental fee and only charge you for the number of pages printed. Copycare offers no minimum contract terms and there are no early exit fees which are ideal for businesses that have a short-term need or for long-term needs where print volumes are low. They provide their services to a variety of businesses, educational establishments, churches and charities. Some of the features and benefits of Bircherley’s printer hire and leasing. Bircherley is a short-term hire business that provides office equipment to businesses that require temporary solutions such as for events, increased demand, or when other equipment fails. They provide only short-term rentals that they believe are competitively priced against other similar offerings. They operate in London and the South East of England. Bircherley can supply printer and photocopier equipment on short notice and deliver it within 2 hours. They claim to have clear pricing with no hidden costs and they supply only the most modern and cutting-edge models. They also provide 24-hour support service to keep your business running. Some of the features and benefits of Print Logic’s printer hire and leasing. Print Logic is an office equipment supply company that provides printers, photocopiers, shredders and other equipment to businesses on either purchase, lease or rental basis. They rent photocopiers on short or long-term contracts. Longer term rentals are similar to lease agreements where a quarterly fixed fee is payable, whereas short-term rentals have a fixed equipment charge plus a charge per copy. 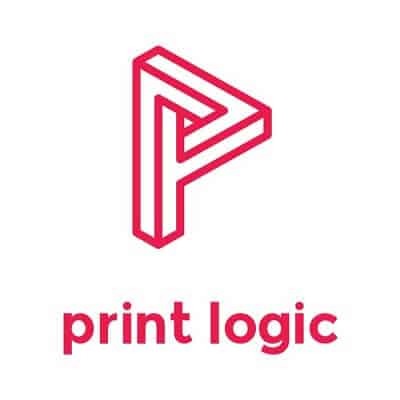 Print Logic offers lease solutions that are charged quarterly and allows businesses to access newer equipment which they can upgrade periodically. They deliver their lease agreements in partnership with finance businesses who provide the capital for the equipment. Some of the features and benefits of HardSoft’s printer hire and leasing. HardSoft is a computer equipment supplier who also hires out equipment. They supply computers, printers, accessories, software, networks and servers and they lease printers amongst other devices. They also provide managed print services where they provide support and consumables as part of a fixed payment plan. HardSoft has considerable experience in providing printers and optimising business performance using their equipment. They offer a range of network and large format printers from brands such as HP, Xerox, Kyocera and Epson. They provide a support package with all their leases and give the option to purchase the equipment at the end of the lease, renew your lease or upgrade your equipment. Some of the features and benefits of GEEX’s printer hire and leasing. GEEX is a computer equipment and IT services business that supplies computers, printers, storage, displays, networking and connectivity services. They also lease equipment to businesses which include their range of printers from manufacturers such as HP and Toshiba. GEEX offers the latest printers whether you want a desktop printer or a multi-functional printer on lease agreements which allow businesses to purchase the equipment at the end of the lease. They offer equipment upgrades and 3-year warranty and support on all leases. They are experts in providing IT services and equipment and they offer experienced support staff.